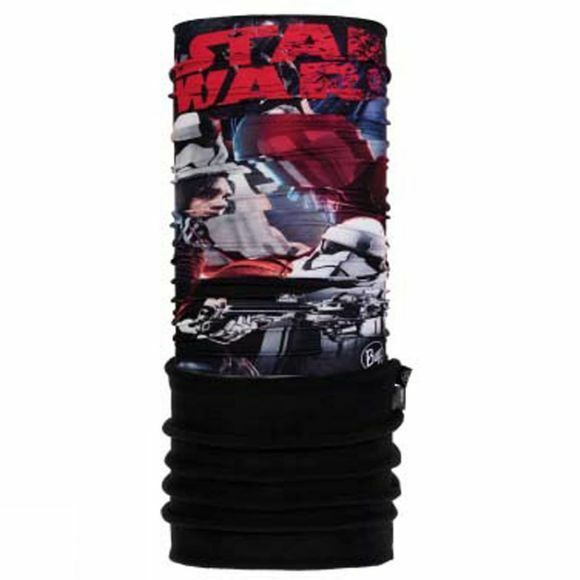 Accessorise your adventures with the Star Wars Polar Buff. Just like the Original Buff, but with a fleece tube sewn into the reverse of the microfibre tube to give two layers of insulation against the winter chill. This stretchy tube of fabric is so versatile you'll want to take it with you wherever you go. It can be worn in a multitude of ways; as a scarf, as a headband, as a beanie, to name just three. The cylindrical construction has no irritating seams, making the Buff comfortable to wear however you choose to use it.